Roof Installation and Repairs since 1989! We service all of NH as well as Northern MA. Most single family roof installations are done in one day. Clean up is extremely important to us, and the shrubbery or plants will be protected. Manchester Roofing Co., Inc. will provide competitive pricing with a line by line proposal and proof of insurance. The scope of our work includes single family homes, condominiums, historical buildings, commercial buildings, industrial buildings and government buildings. 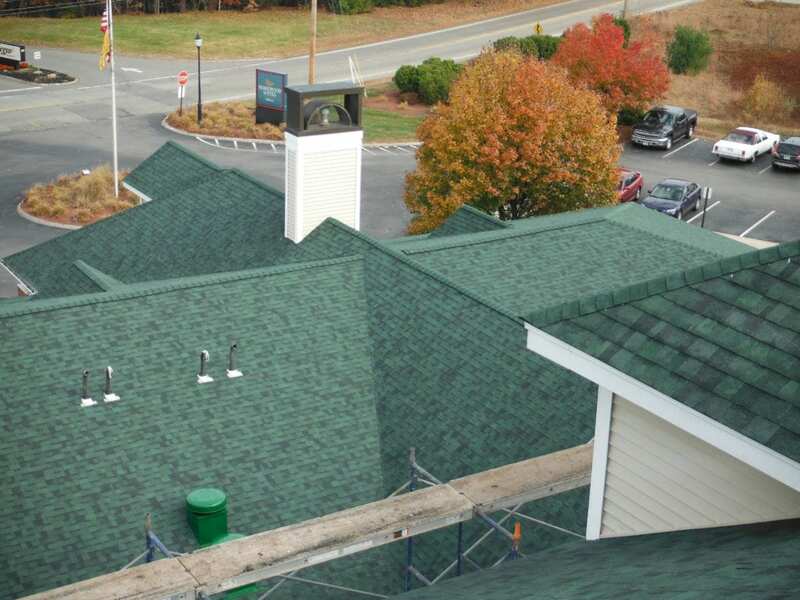 Some of our specialty services include: Slate repair/replacement, flat roofs, rubber roofs, pitch pockets, skylights and weathervane placement. In the winter months we also provide snow removal services to ensure mother nature won't ruin the investment you've made in covering your home.